#1 Mailbox Store & Digital Mailbox Service in the U.S. Choose your mailbox store. 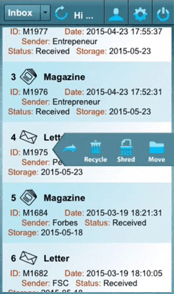 View and manage your postal mail and packages virtually from your smartphone, tablet, or online, 24/7 from anywhere! 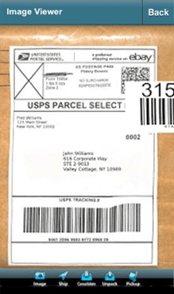 Your mailbox address is a real street address that receives packages from any carrier. Use it as a virtual business or virtual home address. 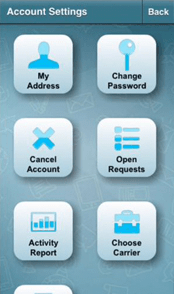 Our Digital Mailbox technology enables you to forward, scan, recycle, or pick up mail with just a click or a tap. It’s quick and easy to get your mailbox store address with iPostal1. Choose the address you want for business or personal use from over 700 available in all 50 states and internationally. Each one is a real street address, including addresses at prestigious office buildings. Select the iPostal1 plan that best meets your needs, depending on how much mail you expect to receive and whether you would like to add a local or toll-free phone line and fax. Complete checkout and you’ve got a new mailbox address. We help you complete and file the short Form 1583 that’s required by the USPS. Redirect your mail to your new mailbox address and receive notifications on your smartphone or by email whenever new mail is received, including packages from any carrier. 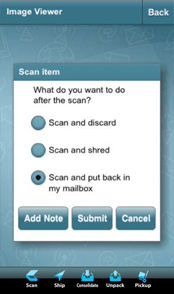 Use the app or login online to see an image of each mail item and with just a click, forward, open and scan, discard, or pick up your mail - even deposit a check. For business, use your address to market or register your company, apply for a loan, upgrade your company image, and protect your privacy. 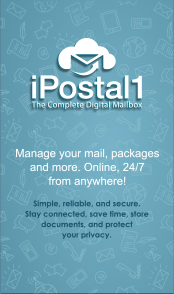 Save time and stay connected with iPostal1 digital mailbox stores no matter where you are across the globe. Choose the Mailbox Store Plan that's Right for You!